See scan - good condition. Original dark patina still remains. The hook on top is slightly hit, but otherwise in very good condition. 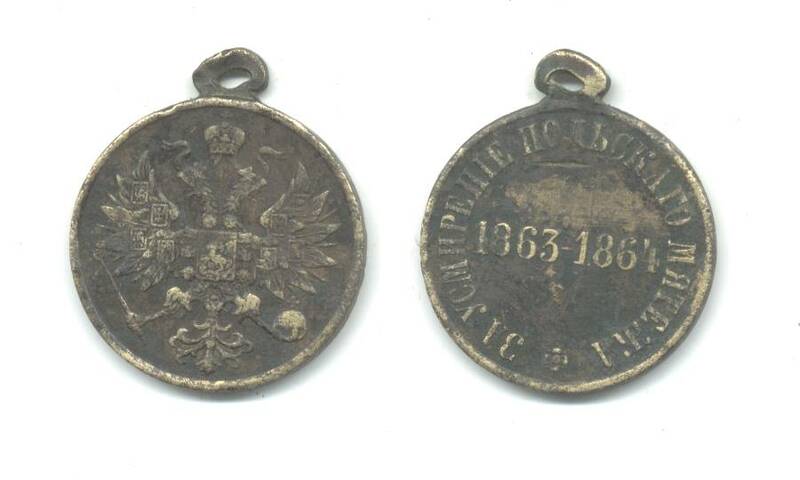 This is a scarce 1864 Russian Imperial medal for the suppression of the Polish Rebellion / uprise during 1863 - 1864 - combatants issue. Front of medal shows the Russian Empire crest - double headed eagle. True collector piece in its genuine look. Catalogued at Vernon's Collector Guide at 250$.